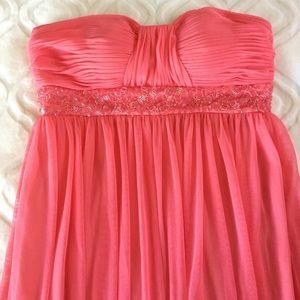 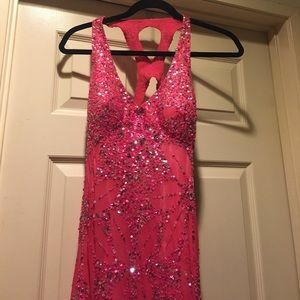 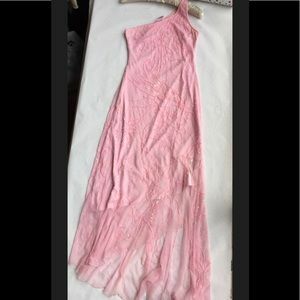 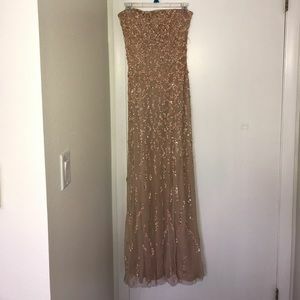 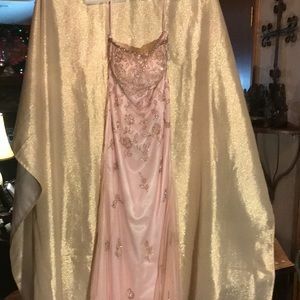 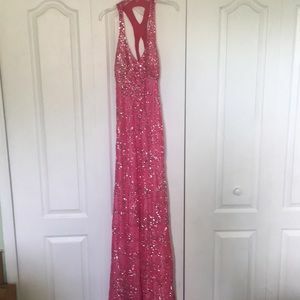 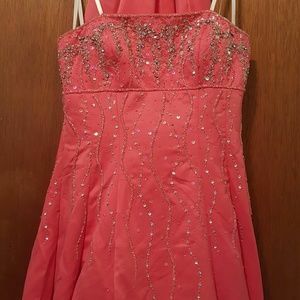 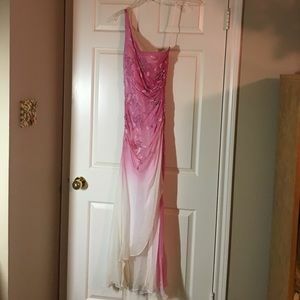 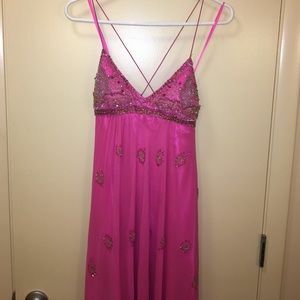 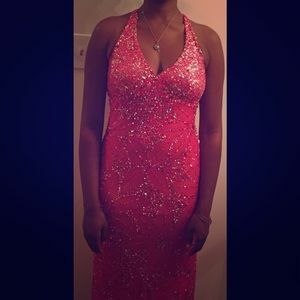 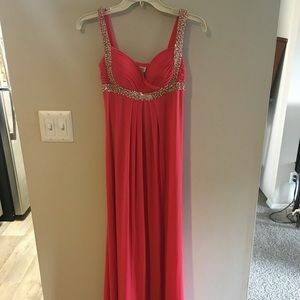 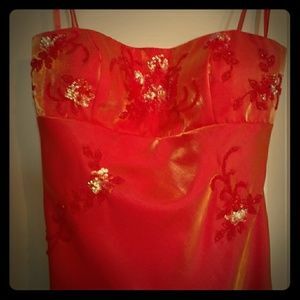 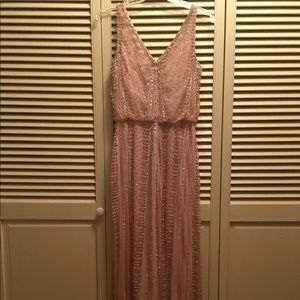 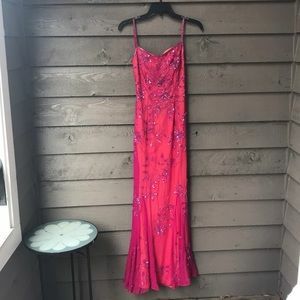 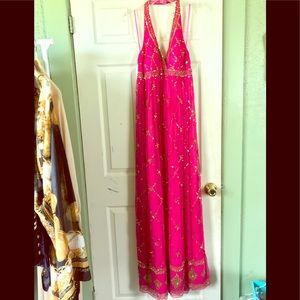 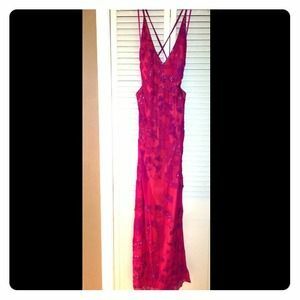 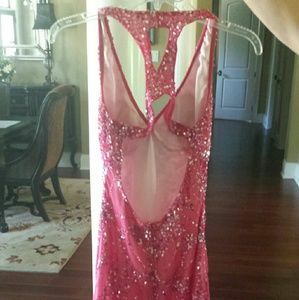 Pink and Gold Beaded Caché Halter Prom Dress. 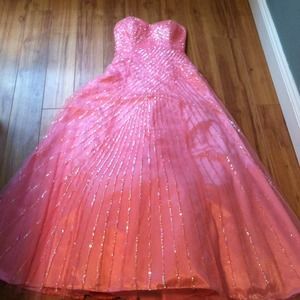 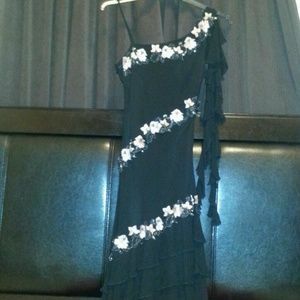 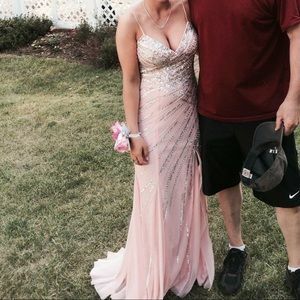 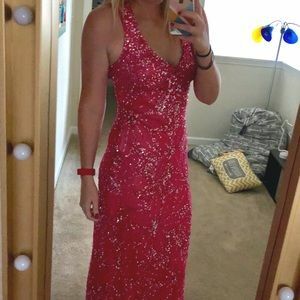 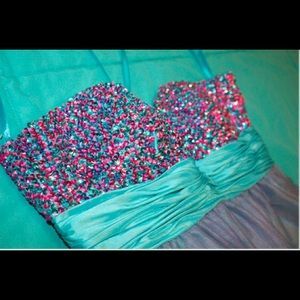 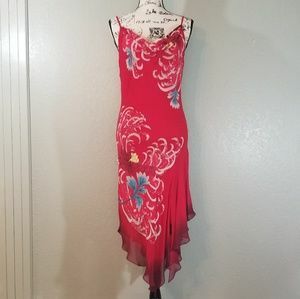 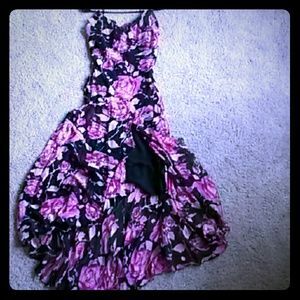 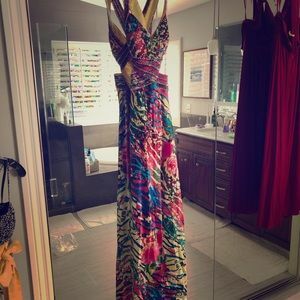 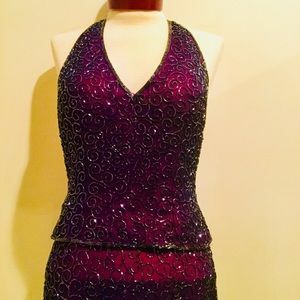 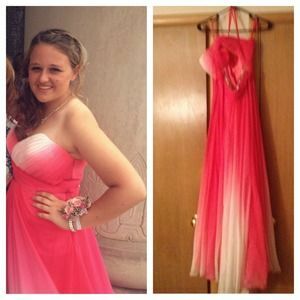 Prom or special event dress. 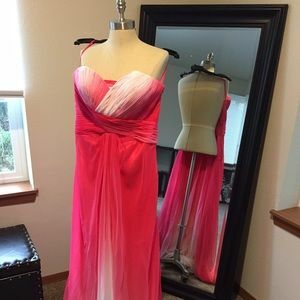 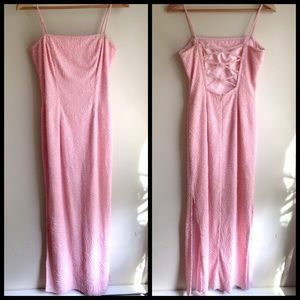 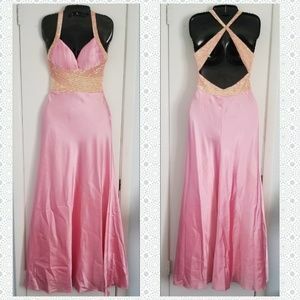 2 Pink sequenced, sleeveless, cut out back gowns.